The focus on the German market, fundamental for wine consumption, but also on Northern European countries and on Asia, with producers from all over the world, from leading Italy in Germany (with exports, in the first 11 months of 2018, for just under 500 million liters and 886 million euros, ICE data) to France, partner country, through Germany, Austria, the USA, Switzerland, Spain, Portugal, Australia, Brazil, Argentina, South Africa, China, Japan, but also Bolivia: the world of wine will be on stage at ProWein, one of the main international wine fairs, in Düsseldorf, from 17 to March 19, with an increasingly large space in Messe Düsseldorf, but also, more events in the city, not only with the “ProWein Goes City” initiatives, but also with many initiatives of individual wineries. However, it starts from Saturday, March 16, with the usual tasting of “Three Glasses”, signed by Gambero Rosso, at the fair, and with the prestigious “Excellence in wine & spirit”, the awards assigned by the famous magazine Meiningers (Hotel InterContinental), where a hint of Italy there will certainly be, thanks to the partnership with the Institute of Trentodoc. Trentino’s sparkling wines will also be toasting the “The Winemakers’ Winemaker Award 2019”, the prestigious prize awarded by the Institute of Master Of Wine and the UK magazine “The Drink Business”, one of the many events scheduled for Sunday 17 March, the opening day of the fair itself, which if Italy will be one of the most represented countries, this year, in its 25th anniversary edition, has France as its partner country, under the motto “Made in France Made with love”. 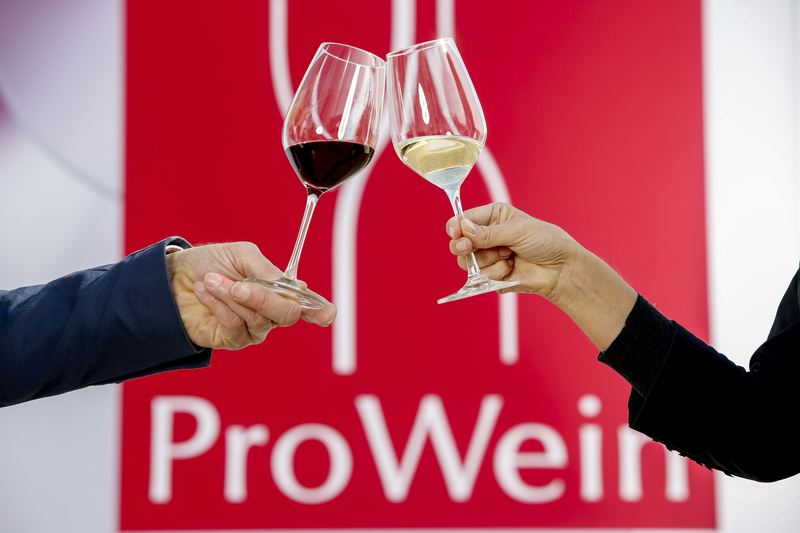 And if the day opens with a press conference by the Comité Champagne, which will present detailed data on the 2018 market at ProWein, there will be many moments in Italy. Starting with the awarding of the winners of the Concours Mondial du Sauvignon 2019, promoted by Ersa del Friuli Venezia Giulia, to the many tastings dedicated to Italy. Starting with the De. Sa., the Association of German Sommeliers (in many cases led by Veronika Crecelius, Italy’s correspondent for Meininger), who will be dedicated to the best wines from native Italian vines, to the lesser-known whites of Italy, but also to the rarities and old vintages that will be presented directly by the producers, and again to the 100 years of La Scolca, among the top wineries of Gavi, but also to the different expressions of Sangiovese signed by wineries such as Felsina, Fontodi, Tenuta Selvapiano (tasting guided by the oenologist Franco Bernabei), to the 60 years of Monte del Frà, one of the most representative realities of the Custoza, without forgetting the vertical dedicated to one of the iconic sparkling wines of Italy, the Giulio Ferrari Riserva del Fondatore (guided by the Master of Wine Frank Smulders), ending with the “party” in Venetian style, based on Lessini Durello, Soave, Valpolicella and Amarone. There will also be many Italian tastings signed by the magazine “Vinum”, which, on the first day, will be dedicated to Vernaccia di San Gimignano, the wines of the Tuscan Maremma, Lugana, the 2014 vintage of Brunello di Montalcino, the wines of Abruzzo, Nero di Troia from Puglia and Lambrusco in the versions of Sorbara, Grasparossa and Reggiano. There are also many initiatives signed by the Consortia of Italian wine, with tastings organized by the Consorzio dei Vini della Valpolicella, which include different areas and vintages, to those of the Consorzio dell’Alto Adige, dedicated to mountain wines, from the one signed by the Consorzio del Soave, dedicated to the “cru” of white Veneto, and then, of course, Prosecco Doc, with thematic tastings dedicated to the “Where”, the “How” and the “Why” of the success of the famous Italian bubbles (which will also be repeated on 18 and 19 March). Among the initiatives to be mentioned, signed by importers, are those of Consiglio Vini, one of the main players of Italian wine in Germany, with the focus dedicated to Lungarotti, Argiolas and Islands and Olena. But there will also be international curiosities: from the presentation of the new 4 level Diploma of the Wine & Spirit Education Trust, to the tasting dedicated to the different glasses for Champagne signed by Pommery, passing through the focus on the sustainability of the service of wine in the premises signed by Meininger. 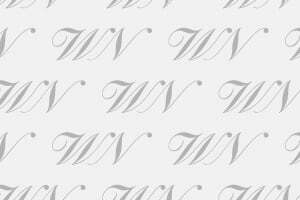 At the end of the day on 17 March, at the Steigenberger Hotel, the “World Most Admired Wine Brands 2019”, selected by the English magazine Drinks International, will be unveiled. On Monday 18 March, however, one of the events not to be missed will be the great tasting counter of the 2016 vintage of Bordeaux, signed by the Union des Grands Crus de Bordeaux, with wines from over 100 Chateaux for tasting. On the Italian front, one of the topics will be the vertical tasting dedicated to the Sassicaia myth of Tenuta San Guido, again signed by Desa, which, among other things, will also focus on the DOC and DOCG wines of the Verona area. And if the Wine Council will be under the spotlight the wines of Etna signed by Tasca d’Almerita, and the top labels of Le Pupille, from Maremma, at the Prowein Forum will be the focus of attention Piedmont, including Barolo, Barbaresco, Asti and Vermut. Dedicated to the great Italian wines ageing, from Amarone della Valpolicella to Brunello di Montalcino to Barolo (with vintages from 1999 to 2008) the tasting signed by Italy of the Wine Consortium (a reality that brings together 20 leading Italian realities (Castello Banfi, Bisol1542, Cà Maiol, Cantina Mesa, Cantine Lunae, Casa Vinicola Sartori, Di Majo Norante, Drei Donà, Duke of Salaparuta, Ferrari Fratelli Lunelli, Gruppo Italiano Vini, Librandi Antonio e Nicodemo, Marchesi di Barolo, Medici Ermete & Figli, Ronchi di Manzano & C., Santa Margherita Gruppo Vinicolo, Terre de La Custodia, Terredora di Paolo, Torrevento and Zonin1821), it will be led by Eros Teboni, “Best Sommelier in the World 2018” for the Worldwide Sommelier Association, the vertical of the wines of the Tuscan label Monteverro of the German couple Giulia and Georg Weber, made by one of the greatest oenologists in the world Michel Rolland. Then there will be, once again, the tastings signed by Vinum, dedicated to Italian rosés, Morellino di Scansano, the wines of the Cooperatives, Nobile di Montepulciano, Vini d’Abruzzo and Negroamaro di Puglia. The protagonists, again, will be the Consortium of Valpolicella, with a focus on the differences between Valpolicella Superiore, Ripasso and Amarone, and Soave, while Meiningers will focus on the great Italian reds, between Barolo, Chianti Classico, and Nero d’Avola. A day, March 18, which will also be dedicated to women, with the tasting dedicated to the most important wines in the world signed by women winemakers, selected by Falstaff, and to the most talented young women to keep an eye on according to the Wset. But it will also be the day of presentation of the “Milan Wine Week” (Gian Marco Centinaio, Minister of Agriculture and Tourism, also expected). At the end of the evening there will also be the appointment signed by Ferrari, which will celebrate Gambero Rosso’s “Winery of the Year” award in Düsseldorf. On March 19, instead, the Desa puts the spotlight on the rose wines of Italy and the world selected at the Pink International Rosé Festival in Cannes, but especially a great vertical 40 years of Amarone by Romano Dal Forno. The great wines of Tua Rita and Petra (Terra Moretti Group) will be at the center of the initiatives of the Consiglio Vini, while Vinum will still focus on Italian rosé wines, the Primitivo di Puglia, but also on reds from native vines from Piedmont, Tuscany, and Sicily. Soave will be the protagonist in two different moments, from the tasting signed by the Consorzio del Soave to that by Wset, which will put the Venetian white in comparison with other great whites in the world. But during the three days of Düsseldorf, there will also be many tastings and insights dedicated to wines from around the world, from California to Oregon and the State of Washington from the USA, to Koshu wine from Japan, from the great Port from Portugal to Rioja wines from Spain, from the hills of Chile and Argentina to wines from old vineyards in South Africa, going to discover the production of Bolivia and Moldova, just to name a few examples of what, to all intents and purposes, is one of the largest wine fairs in the world.